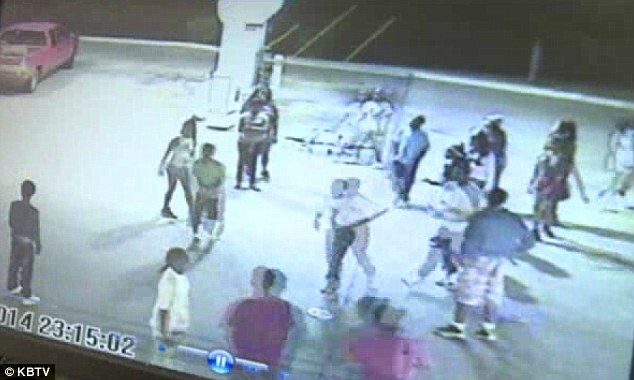 A mob of teenagers have been caught on tape robbing a convenience store in Bryan, Texas. Surveillance video shows the kids rushing through the store, grabbing everything they can get their hands on as girls are seen twerking and doing the splits outside. 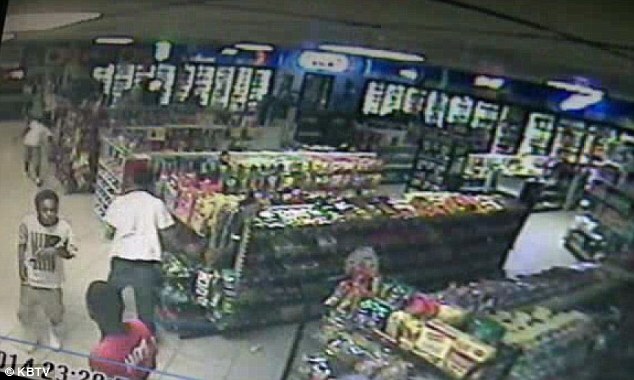 The frightening ransacking incident took place Saturday as store clerk Terry Polsgrove, 19, was shutting up for the night. 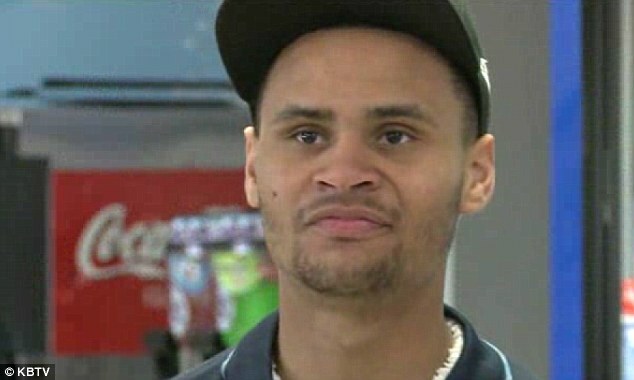 A few teenagers are seen trickling into the Chevron Food Mart, then, all of a sudden, 30 to 40 teenagers are dancing and acting 'crazy' down the aisles and in the parking lot. 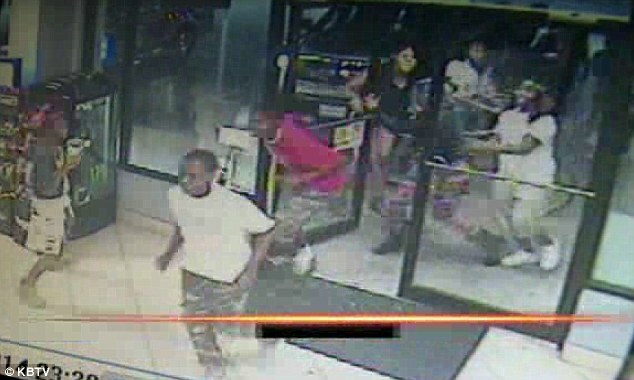 The surveillance video shows some of the youths shoplifting chips, candy and soda worth about $200, Kelly McKethan, spokesperson for the Bryan Police Department, told The Eagle. Polsgrove said said it was too much for the two workers to handle inside, adding that one of the suspects even stole beer but dropped it on the way out. 'Within a matter of 20 minutes, I was overwhelmed by kids ages 8 to 17, I mean it was crazy,' Polsgrove said. No one was injured during the 20 minutes that the large group spent in and around the store. Polsgrove can be seen trying to pull the doors closed, he said to separate the teens. But the group swamps him and he gives up. He told the Eagle that the group said they'd been at a teen night at Club Nice across the street before they descended on the store. McKethan said Saturday's incident did not appear to be premeditated. But investigators are using the video to identify young thieves who could be charges with theft, criminal mischief or organized criminal activity.